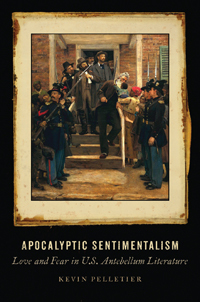 Focusing on a range of important antislavery figures, including David Walker, Nat Turner, Maria Stewart, Harriet Beecher Stowe, and John Brown, Apocalyptic Sentimentalism illustrates how antislavery discourse worked to redefine violence and vengeance as the ultimate expression (rather than denial) of love and sympathy. At the same time, these warnings of apocalyptic retribution enabled antislavery writers to express, albeit indirectly, fantasies of brutal violence against slaveholders. What began as a sentimental strategy quickly became an incendiary gesture, with antislavery reformers envisioning the complete annihilation of slaveholders and defenders of slavery.